The world needs inspiring figures. Always. Today, there are Vandana Shiva, Paul Duan, Boyan Slat, Edgar Morin, Pierre Rahbi, Matthieu Ricard,… but behind these figures widely present in the media there are other personalities who, too, contribute to bring more accuracy. Le monde a besoin de figures inspirantes. Depuis toujours. Aujourd’hui, il y a Vandana Shiva, Paul Duan, Boyan Slat, Edgar Morin, Pierre Rahbi, Matthieu Ricard… mais derrière ces figures largement présentes dans les médias il y a d’autres personnalités qui, elles aussi, contribuent à apporter plus de justesse. Alberto Gutierrez is a scavenger in Bogota. Aboard his garbage truck, he picks up the garbage from the town without paying any attention until he gets on Tolstoy’s book, Ana Karenina. In his hands. The first book saved from the dumpster. 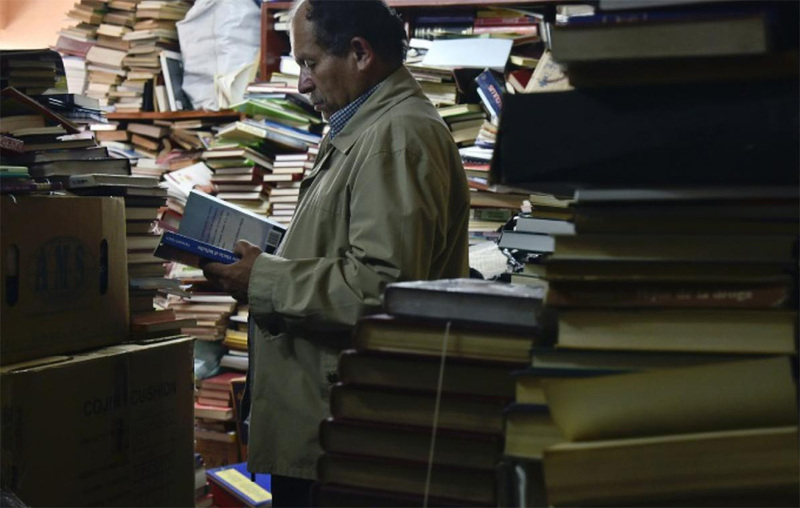 Then comes an organized rescue of thousands of books that Alberto Gutierrez brings home. His library has expanded so much that he opens it up to the district, the city, the region. The garbage collector is nicknamed ‘the lord of books’, and is invited to many literary salons. His notoriety spread, he gradually received gifts and his wife repairs the damaged books. For 20 years, he distilled the books he retrieves and that he receives … even in the hands of the rebels of the Rafc. Alberto Gutierrez est éboueur à Bogota. A bord de son camion poubelles, il ramasse les ordures de la ville sans plus d’attention jusqu’au jour où il tombe sur l’ouvrage Ana Karénine de Tolstoï. Le premier livre sauvé de la benne à ordures. S’en suit un sauvetage organisé de milliers de livres qu’Alberto Gutierrez ramène chez lui. Sa bibliothèque s’étoffe tant et si bien qu’elle s’ouvre au quartier, à la ville, à la région. L’éboueur est surnommé ‘le seigneur des livres’, et invité à de nombreux salons littéraires. Sa notoriété s’étend, il reçoit peu à peu des dons et sa femme répare les livres mal en point. Depuis 20 ans, il distille les livres qu’il récupère et qu’il reçoit… jusque dans les mains des rebelles des Farc. 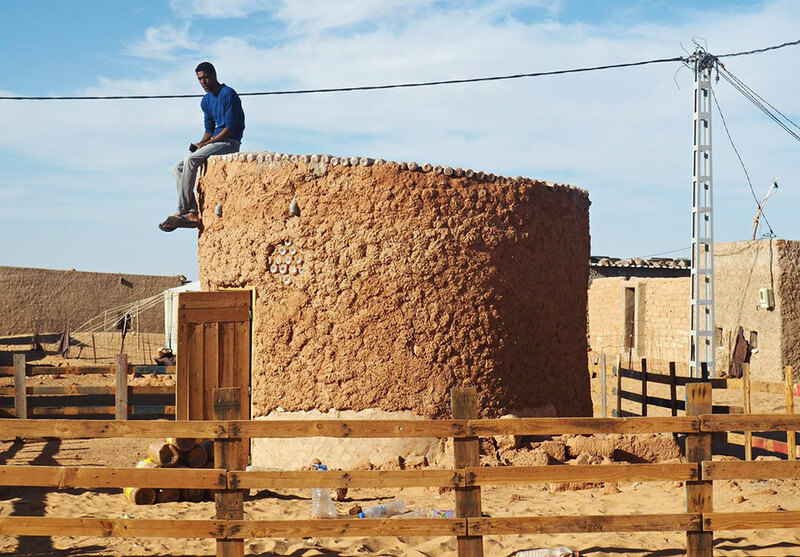 Thousands of houses in the country ravaged by heavy rains and winds … It is following this event that occurred in Algeria in 2015 that Tateh Lehbib Breica, an engineer and refugee from Sahrawia, tests his first house made of plastic bottles full of sand and Straw. This first round dwelling, he dedicates it to his grandmother so that she gains in comfort and suffers less from the heat that can reach up to 45 degrees. This brilliant (and resistant) idea was supported by the United Nations and allowed the creation of about twenty ‘recycled’ houses for Aswerd refugees. Given the thousands of bottles used, Tateh Lehbib Breica was nicknamed ‘the madman of bottles’. Des milliers de maisons en terre ravagées par des pluies et des vents violents… C’est suite à cet événement survenu en 2015 en Algérie que Tateh Lehbib Breica, ingénieur et réfugié sahraouia teste sa première maison constituée de bouteilles en plastique remplies de sable et de paille. Cette première habitation ronde, il la dédie à sa grand-mère pour qu’elle gagne en confort et souffre moins de la chaleur qui peut atteindre jusqu’à 45 degrés. Cette idée géniale (et résistante) a été soutenue par les Nations Unies et a permis la création d’une vingtaine de maisons ‘recyclées’ destinées aux réfugiés d’Aswerd. Vu les milliers de bouteilles utilisées, Tateh Lehbib Breica a été surnommé ‘le fou aux bouteilles’. Jadav Payeng is Indian. He was born on the island of Majuli on the Brahmaputra River in Assam, an island deforested little by little for commercial needs. 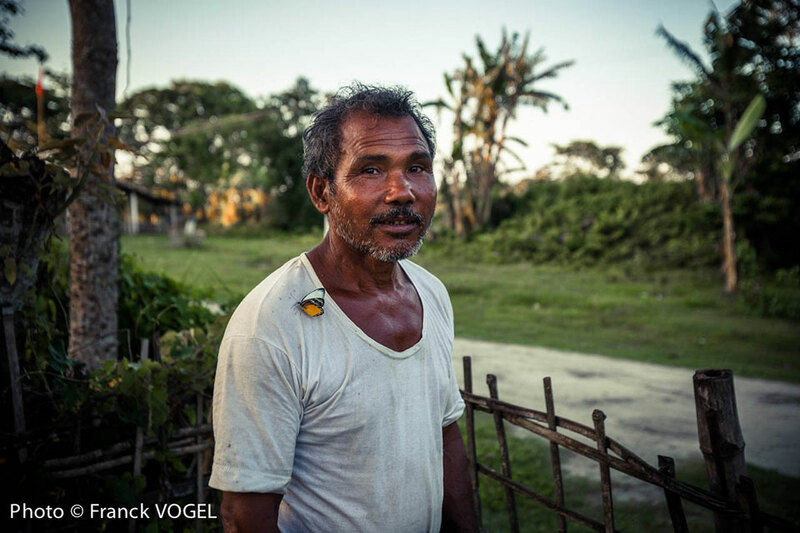 An intolerable impoverishment for Jadav Payeng who, 37 years ago, began to replant one tree then another and yet another. Today, its plantations cover no less than 550 hectares. A resurrected oasis that now hosts elephants, rhinoceros, deer and tigers. A paradise found thanks to the passion of one man. Jadav Payeng est Indien. Il est né sur l’île de Majuli sur la rivière Brahmaputra à Assam, une île déforestée peu à peu pour des besoins commerciaux. Un appauvrissement intolérable pour Jadav Payeng qui, il y a 37 ans, a commencé à replanter un arbre puis un autre et encore un autre. Aujourd’hui, ses plantations couvrent pas moins de 550 hectares. Un oasis ressuscité qui accueille désormais des éléphants, des rhinocéros, des cerfs et des tigres. Un paradis retrouvé grâce à la passion d’un seul homme. Alberto, Tateh and Jadav are just three examples of inspiring figures. They are symbols of perseverance and determination. Of love above all. By their positive actions, they make a change for a better world,. They help people, animals, life. They inspire and inspire us to ask ourselves what we ourselves can put in place to bring our own stone to this ‘better living together’ building. Every person can be a “inspiring figure”. Alberto, Tateh et Jadav ne sont que trois exemples parmi d’autres. Ils sont des symboles de persévérance et de détermination. D’amour surtout. Par leurs actions positives, ils changent le monde, en mieux. Ils aident les gens, les animaux, la vie. Ils inspirent et nous poussent à nous demander ce que nous-mêmes, nous pouvons mettre en place pour apporter, nous aussi, notre pierre à cet édifice du ‘mieux vivre ensemble’.